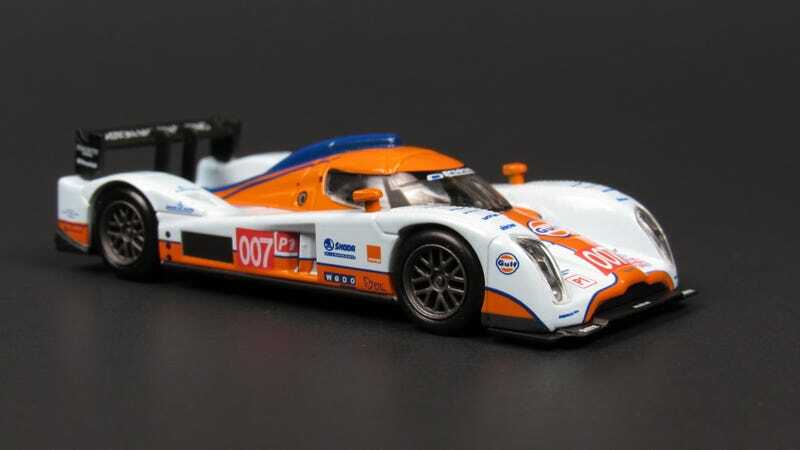 This replica is closer to how the car in looked in other WEC races during the 2010 season, but the Le Mans livery was the same with the same 007 number, just with different decals here and there. For Le Mans, the car was driven by Harold Primat, Stefan Mücke, and Adrián Fernández. They took the car to a 5th in class finish, 6th overall, among a class filled with factory backed diesel efforts from Audi and Peugeot. This car featured a petrol powered 6.0L V12. I was fortunate enough to hear a couple of years later and it sounded absolutely glorious. The petrol powered cars were never competitive with their diesel brethren in this era of Le Mans history, but for some reason they were still classed together. Thus, the Lola B09/60 chassis never saw much success. It did however finish first among petrol powered cars frequently. But I think it’s one of the best looking LMP bodies and this livery certainly helps with that.